Find the world's coolest gifts, gadgets and toys. Yellow Octopus scours the globe for all the very latest gadgets, toys, gifts and games. 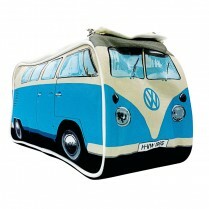 We search high and low for products that are cool, inspirational, quirky, bizarre and downright fun!. From UK designer homewares to local Australian-made eco products to the latest high-tech smartphone toys and accessories, we have it all. In fact, we have one of the largest selection of gift and gadget items for sale in Australia. No matter how large or small your order, $6 is all you pay for shipping. You even get this free when you purchase above $100! If you are in Melbourne, Sydney, Adelaide or Brisbane Metro within 2 business days. For the rest of Australia and items shipped from our partner suppliers, your order will arrive within 3-6 business days. In the Melbourne Metro area? Receive your order in 3 hours with our Want It Now service. This speedy service is available on items shipped from our warehouse & between 9am to 6pm on business days. Simply select "Want It Now" at checkout and it would give you a delivery quote to your address. If for whatever reason you're not totally delighted with your product, please return it back to us and our eight legged friends will gladly provide you with a full refund.